Posted By:Unknown | At:12:56 AM Be the first to comment! 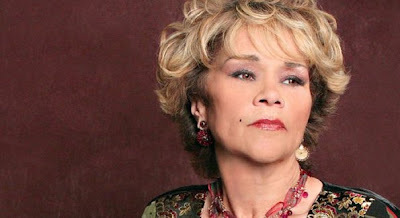 Reuters) - Grammy-winning R&B singer Etta James is terminally ill, her live-in physician said in an interview this week that confirmed reports of the singer's fading health. Dr. Elaine James, who is no relation to the singer, told a California newspaper in a video interview that the 73-year-old "At Last" singer has leukemia, dementia and kidney disease among her "many, many illnesses." "At the present time, Etta is considered terminally ill," the doctor told the Press-Enterprise newspaper in Riverside, California, east of Los Angeles. Dr. James added that the diagnosis was made about two weeks ago by three medical specialists including an oncologist and an internist from a local hospital where the singer is frequently treated. James' two sons, Donto and Sametto, told Reuters on Friday that they were not sure the terminally ill diagnosis was accurate and it was announced without the family's agreement. The singer's sons are currently involved in a court battle with their stepfather Artis Mills over conservatorship of James' $1 million estate. Both sons agree that their mother's health is deteriorating and felt that she should be admitted to hospital rather than receiving care at her home in Riverside. "I saw her the day before yesterday, and I think she needs to be in the hospital. She doesn't look good," said Donto James. With songs like "The Wallflower" and "Good Rockin' Daddy," James, a three-time Grammy winner, was a key figure in the early days of rock 'n' roll and was inducted into the Rock and Roll Hall of Fame in 1993. The singer has battled obesity and heroin addiction throughout her life. She lost more than 200 pounds after undergoing gastric bypass surgery in 2003. More recently, she was hospitalized in 2010 with numerous ailments including a bloodstream infection. She become ill while being treated for an addiction to painkillers and over-the-counter medicine in a detoxification center. James has remained active in the music industry despite her ailments, and she released an album in November this year entitled "The Dreamer." "I don't think it was meant to be her final album, of course she wants to make more music," said Sametto James.